Certainly one of the more exotic locations for New Deal/WPA art is the US Post Office in Charlotte Amalie, US Virgin Islands. 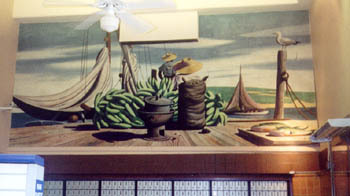 There are two murals installed in the lobby, both done by Stevan Dohanos in 1941. 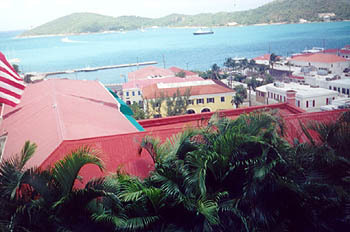 "The Virgin Islands, U.S. - The Outer World Significance"
and "The Virgin Islands, U.S. - The Leisurely Native Tempo". Both are still extant and on public display.